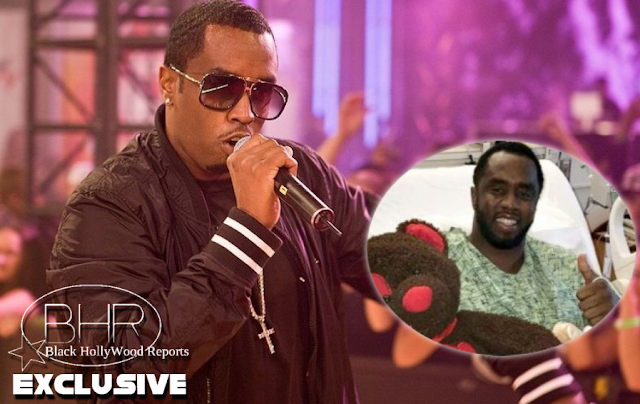 BHR Hollywood Reports.............Sean "Diddy" Combs is in the hospital recovering after having his third knee surgery in a year. The rapper and entrepreneur, 47, shared a series of hospital photos on social media Thursday evening, announcing to fans and followers that he had was recovering from knee surgery. Flowers from my brother @frenchmontana love you baby bro. The Bad Boy Records founder previously had knee surgery in July 2015, one month after falling through a hole in the stage at the BET Awards in Los Angeles. Most recently in August 2016, Diddy delayed his Bad Boy Family Reunion Tour by one week in order to recover from shoulder surgery.